Vinyl Wraps. Clear Bra. Racing Stripes. Vinyl wraps are the smart way to add personality & protection to your vehicle. Choose from thousands of styles, protect your vehicle, and spend less money. Get your ride looking right with a vinyl wrap from Wrap Labs. Imagine a look and make it reality. From matte to metallic, satin to gloss, color shift to carbon fiber, & more. Vinyl wraps protect your original paint, improve auto resale value, and are 100% removable. Go subtle with accents or stripes, get noticed with hood/roof/trunk wraps, turn heads with a full color change. Wrap Labs is the only certified XPEL clear bra installer in Ventura County. Don’t trust any auto film, choose the industry leader in clarity, chip protection, & stain-resistance. 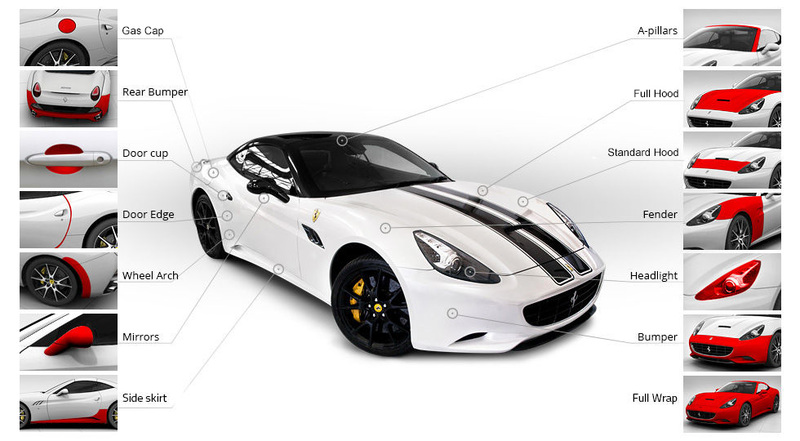 Enjoy the look of a brand new car every single day with clear bra from Wrap Labs. We style and protect every type of vehicle: motorcycles, trailers, ATVs, box trucks, RVs, off road vehicles, and more. Take a look at some of our recent work and see the Wrap Labs difference. The Wrap Labs difference is quality product and customer service. No matter the project, we cut zero corners & help you pick the best vinyl for your vehicle. See how we deliver beyond the average wrap experience. No matter the project size, we cut zero corners & help you pick the best vinyl for your vehicle. If it’s on four wheels, we’ve probably wrapped it. From daily drivers to exotics, your vehicle is in good hands. We just say no to shortcuts. Each car is fully detailed before carefully removing & wrapping panels. We stand behind our work. All car wraps come with a full warranty on both parts & labor. Use our custom quote feature to price your wrap. No phone calls. No in-person only quotes. And no surprises. Auto style shouldn’t inconvenience. Set a pick up/drop off or allow us to arrange a rental car from Enterprise. Need commercial vinyl work for your storefront or corporate vehicle? We do design & off-site installs! We stand behind our work. All car wraps come with a full warranty. Wrap Labs is Conejo Valley's premiere auto style location. We cover Ventura and Los Angeles counties and offer a wide variety of auto services. Wrap Labs services include: paint protection film (PPF), window tint, wheel repair, paintless dent removal (PDR), interior & exterior detail, extended warranties, and vinyl care services. That life: custom rides, event pics, & behind the scenes. All things auto: vinyl trends, SoCal scene, & insider deals. 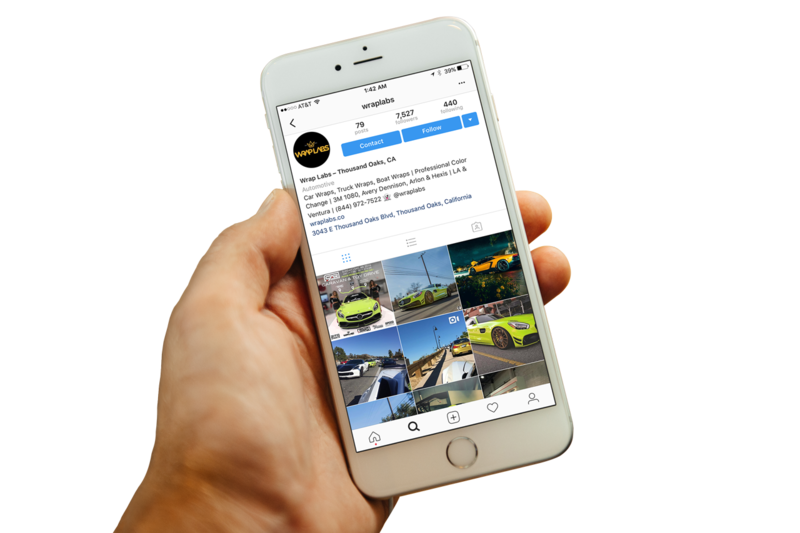 Our goal is to curate a newsletter that keeps you in touch with the world of vinyl, paint protection, & premium auto style. Zero spam. Looking for quality in LA or Ventura?